The Brazilian prison-based criminal gang PCC (Primeiro Comando da Capital – First Command of the Capital) who has been terrorizing São Paulo with dozens of killings and hundreds of attacks against public buildings and buses is threatening to use once again its violent tactics if their demands are not met. They vow that their new actions will be in "in a scale not yet seen." The only way to avoid their wrath they warn is for authorities to end what they call mistreatment of prisoners in the jail system. "Violence begets violence," they say in a pamphlet that had wide distribution in São Paulo. "We will give our lives if necessary. Unless there is an end to this situation we will take this war for justice to the last consequences." The Police fear that the PCC document is just the preamble to another wave of bloody attacks by the gang. This might happen on August 31, the day in which the group was created or September 7, the Brazilian Independence Day. Authorities don’t know exactly what to expect and just wonder what could be "in a scale not yet seen," but they suspect the criminals would try kidnappings and armed attacks. "Negão, if possible use a pen for that situation provoked by you." He then mentions the recent kidnapping of a reporter from Globo TV. "You have to do it the same way. This is another blow to strike, but this is bigger than the one from Globo." The State Government has been using the media to lead the justice and the population to the mistaken thought of the true motive that led us to armed actions against the government. What’s been happening in São Paulo is a direct reflex of what the Government itself planted in the State Penitentiary System. Now it’s reaping the result. There is patent disrespect to the Constitutional Laws throughout the whole system and we will mention some examples here. In Presidente Venceslau I and II, as well as Presidente Bernardes II, our families and our lawyers have been treated as inmates, without ever having committed crimes, in total disregard for the law. In President Venceslau II, where everything started and for this reason, the unit director Dr. Wan Nelson, turned over the cells keys to a group of armed and masked men called G.I.R., who have been committing all kinds of abuses. They invade the pavilions, shooting and using bombs without any justification. The coward aggressions are constant. By imposition of the directors, the time of visit is limited to 2 hours, never respecting the families (mothers, fathers, wives and children), who are literally taken as hostages by these men, who bearing large caliber weapons, maintain the families under the barrel of a gun, threatening and cussing until they get to the cells, where they are then locked with the prisoners, in tears and traumatized, specially the children. The same procedure is used on the way out. We need to stress that there has already been shotgun shots during the visit day, supposedly accidental. That kind of action is filmed by the G.I.R., which has to account for their actions. However, they present whatever they please. The truth is that they have been showing these images all over, in order to demoralize the families. These are a few examples of our real motivation, something the government tries to hide. There are no laws that grant to any prison director such right, and what they do is a crime. It is against this kind of thing that we fight and if we took this path that’s because this is only one that was left to us by the government. You have to listen to us. The reflex of the armed actions are negative for all and hurt innocent people. However, they are going to continue in a scale not yet seen, in case the justice of this country does not take steps and at least investigate, because what the state tries hard to hide will come out. We will sacrifice our lives if necessary, but unless there is an end to this situation we will take this war for justice to the last consequences. Violence begets violence, cowardice begets cowardice. – allowing corruption leads to more corruption. – allowing injustice leads to more injustice. – allowing impunity leads to more impunity. – allowing red tape leads to more red tape. – allowing vote buying leads to more vote buying. 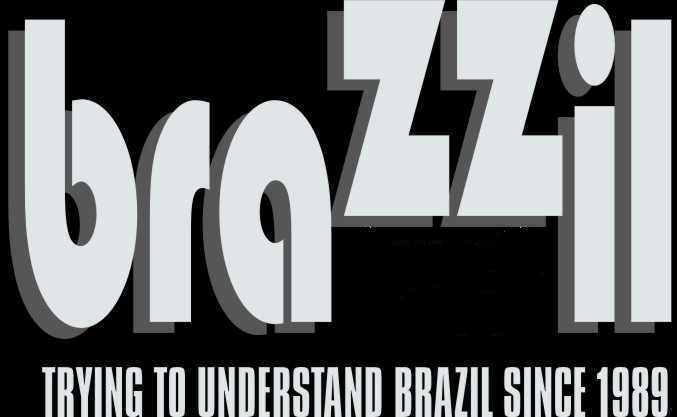 Which is a short description of Brazil. Eventually you may include these phrases in your National Anthem.